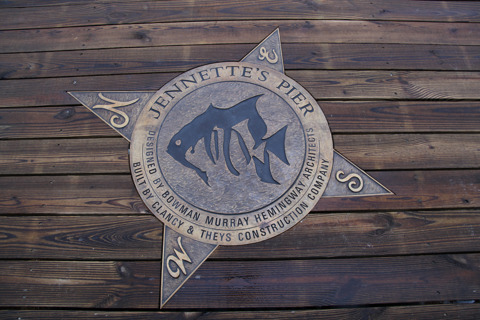 Jennette's Pier is open year round. 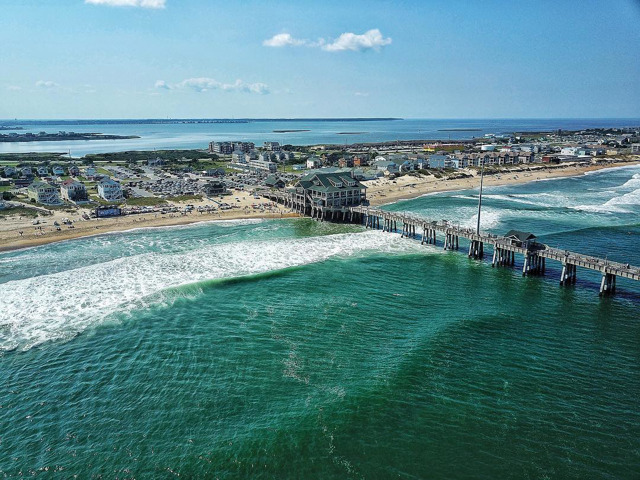 Jennette's Pier is located on the oceanfront at milepost 16.5 in the heart of the Whalebone Junction District of Nags Head on the Outer Banks of North Carolina. When you're getting close, just look for the wind turbines. From Hampton Roads, Va. take VA-168 South continuing onto NC-168 South/Caratoke Hwy. Continue onto US-158 East (By-Pass) on the Outer Banks. After passing Tanger Outlet Mall take a left on East Gray Eagle Street then a right onto NC-12 (Beach Road). Jennette's Pier will be on the left. From Raleigh, take US-64 East to Nags Head. Continue on US-64 East to NC-12/South Virginia Dare Trail (Beach Road). Jennette's Pier will be on the right. From Hatteras Island, take NC-12 north to Whalebone Junction. At the light, turn right onto NC-12/South Virginia Dare Trail (Beach Road). Jennette's Pier will be on the right.